The company Hoerboard leads the distribution and processes all orders on the base of following general terms and conditions. These general terms and conditions shall apply exclusively. Conflicting conditions of the customer or conditions differing from those indicated in our general terms and conditions cannot be accepted, unless approved of by us in writing in individual cases. 2.1 Every specifications of Hoerboard products are without obligation. Particularly this apply to all images, technical drawings, dimensions, weights, product specifications and prices published in context with Hoerboard products. A warranty of any characteristics can not be given. Errors excepted. 2.2 The purchase contract takes effect upon fulfilment by Hoerboard, i.e. it only becomes legally effective when goods are delivered in accordance with the delivery note. A confirmation of the order by Hoerboard isn`t yet an acceptance. Should Hoerboard products decline the acceptance the customer will informed immediately. Placing an order is possible by written form (letter, fax), orally (telephone), by email or the internet order form. By ordering via telephone or internet the customer will informed immediatly with all necessary details of the order process. Prices and paying prices quoted in the internet include the statutory value added tax. Goods delivered to countries outside the EU shall be charged without value added tax. The method of payment is advance payment or cash on delivery payment (only Germany). In the event of advance payment the purchaser shall receive an invoice from us which he must pay by bank transfer stating the customer number and invoice number. 4.1 The customer pays all shipping charges. In case of shipping abroad customers have to pay additional charges. 4.2 Part-delivery is acceptable, but only if it is reasonably to the customer. Shipping charges of the desired part-delivery or articels which have to be packed separetly have to payed by the customer. 4.3 Delivery times are allways without obligation. Delivery of the goods shall depend on correct and punctual supply to ourselves. Shipping abroad can delay depending on the shipping company. 4.4 Delay by act of nature beyond control, strike, not correct and punctual supply to ourselves or other disturbance caused through no fault of ourselves make no demands by the customer to hoerboard. 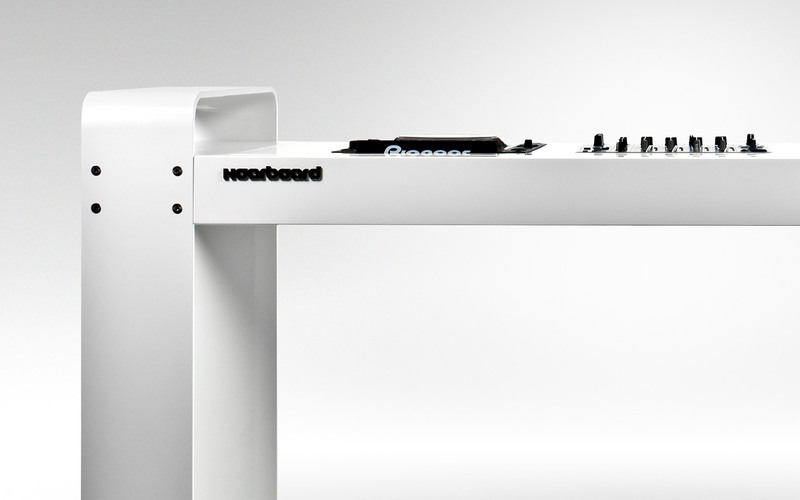 5.1 There is no option to have a revocation because every single Hoerboard is specially custom build for yor DJ-setup requirements. 6.1 Please check the delivered goods immediately for obvious defects in material or manufacture or transport damage. You are legally obliged to inform us of any defects or faults of the goods so that we can take remedial action. 6.2 The rigth of warranty doesn`t exist if the error caused by the following content: the customer didn`t check the goods on receipt the customer didn`t inform about an obvious fault the object of purchase was used incorrect (jumps, radical use, crashes) the object of purchase was changed into a configuration which is not permitted by the producer the customer didn`t follow the instructions of usage, operations and maintenance of the object of purchase. The goods shall remain the property of Hoerboard until the purchase price has been paid in full. All personal data are treated confidentially as a matter of principle. Data which are required for transacting business shall be stored and passed on to partner companies where this is necessary for order processing. Applicable law and place of performance applicable law and place of performance is Markkleeberg, Germany. Exclusivly ­German law apply. All or part ineffectual or impracticable regulations of this terms and conditions don`t affect validity of the other definitions.